Since 2010 we have developed the Folly Tower and woodland to be a place that offers a good deal of interest and fun whether the tower is open or not. 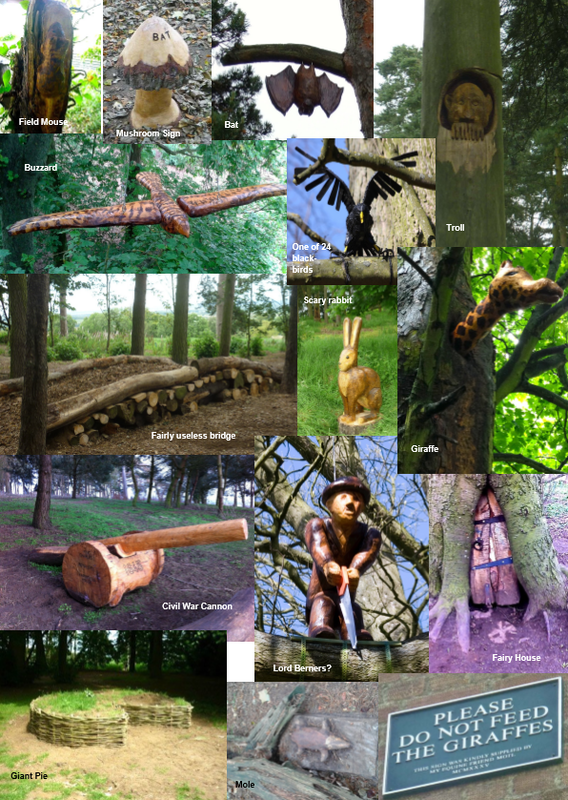 The Folly woodland hides many sculptures for you to seek out. The toadstools near the tower help you find the little animals. Children love to look for the giraffe, the hare, the mole, the bat, the buzzard, the field mouse as well as the ‘sing a song of sixpence’ giant willow pie and 22* big blackbirds perched in the trees. If you look carefully you will find Lord Berners himself, high in a tree. If he continues to saw the branch, he is bound to fall. The troll is keeping watch. Lord Berners, when asked what the tower was for said ‘it is entirely useless’. Our fairly useless bridge was created with the same thought. However, children love to play on it and small animals could be living beneath it. Some children think it is a fairy bridge, others a troll bridge and trip trap over it. 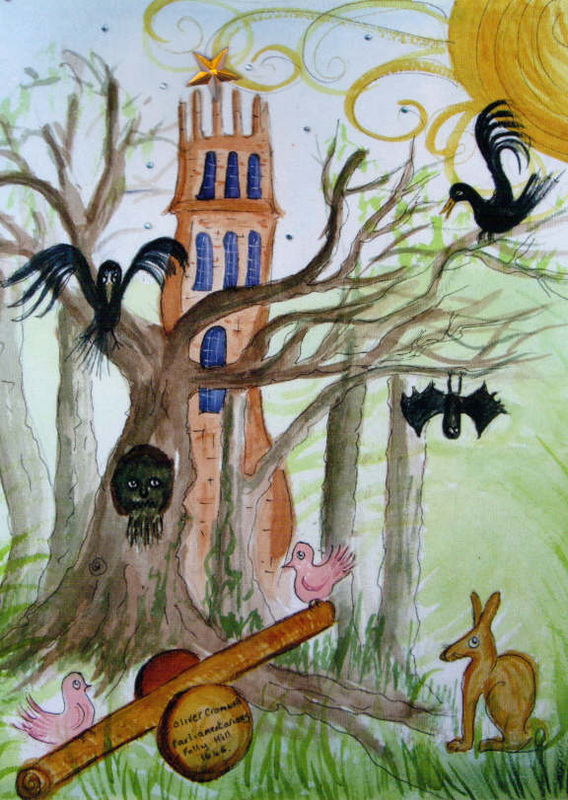 Something may live in the fairy house in a tree trunk , quite near the mole. The wooden cannon commemorating Oliver Cromwell in the Civil war points at Faringdon. Good for clambering on too. There are a numberof sitting areas among the trees, as well as benches round the outside of the woodland. You could bring a picnic and enjoy the peacefulness and the views while children play on the logs and balances nearby. Have your photo taken looking through the heart. 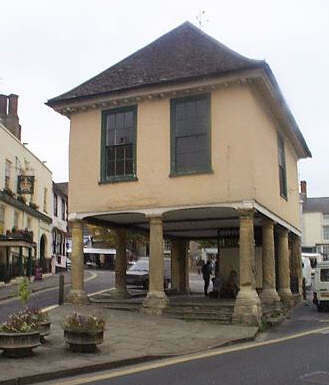 Faringdon and the surrounding area offer many places to visit and things to do. You can find out about these on Faringdon.org things to do page.